Welcome to a new series here on my blog-a little DIY & redesigning series where I'll be sharing little projects and big finishes that we've completed on our new house. This week I'm sharing our new fabric headboard. Frankly, it was super simple and inexpensive to make but it looks like a million bucks! 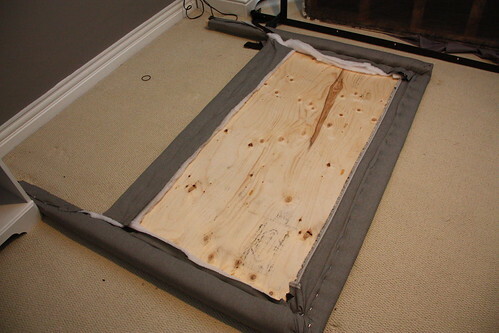 You will need plywood (cut to size), fabric, (we used 2 metres but you might need more based on your plywood measurements), batting, two 2 by 4's (cut to size), a staple gun & staples, and a drill. So first things first- you need to know your measurements for your bed based on the size of your mattress. 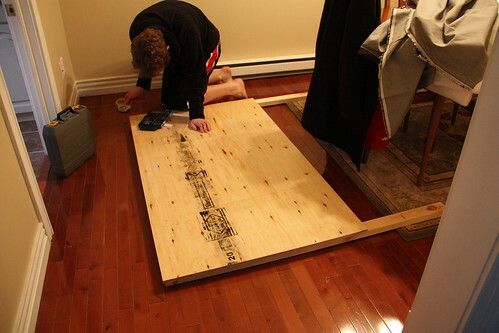 We have a queen bed so we had a piece of plywood cut at 62" by 32". I met a lovely man at Home Depot who found me a slightly warped piece that he could give me for half price & just cut out the wonky piece- I love a good deal. 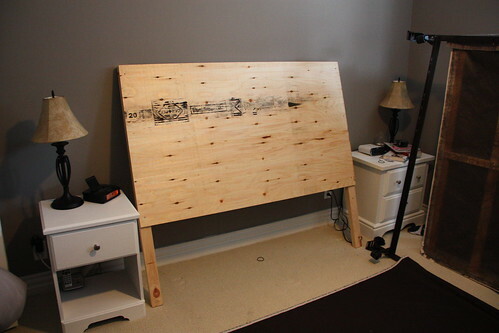 Then he cut me two 2 by 4 pieces as well to the height that I wanted the actual headboard to be- in my case 54". After getting all my supplies home, I had M screw the 2 by 4's into the plywood. 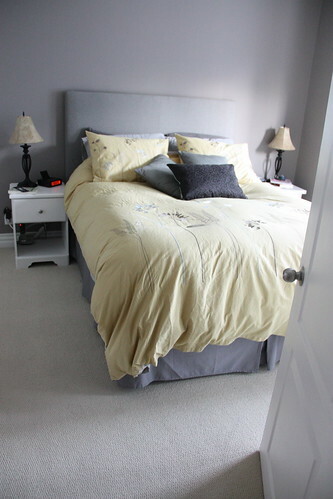 Then we dragged the whole thing up to our bedroom because it was just easier to do it there. 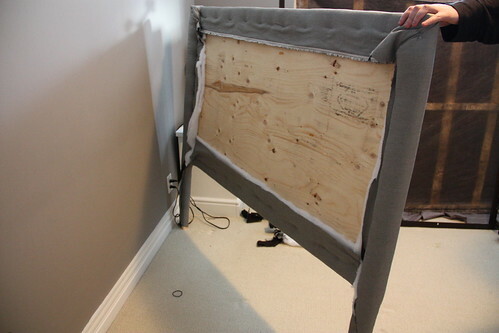 Also, this way we could make sure it screwed into the bed rails properly. 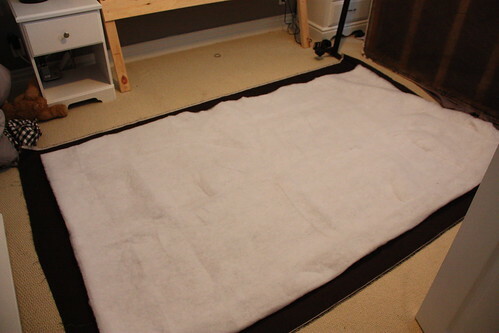 I laid out my fabric on the floor and then laid the batting on top of it. I used a batch of double batting in fact to give it more of a plush feel. Next we positioned the wood headboard on top of the batting. 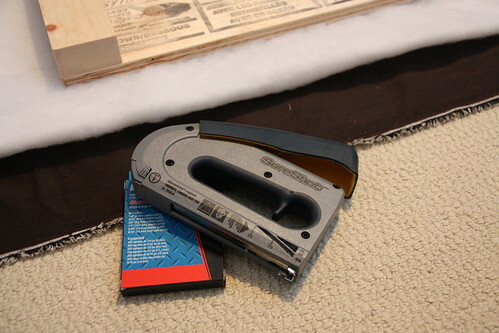 Grabbed the staple gun and staples-we needed quite a few of them. From there we started at the top of the board in the middle. I tugged it tight and started stapling, working my way out to one side and then the other. 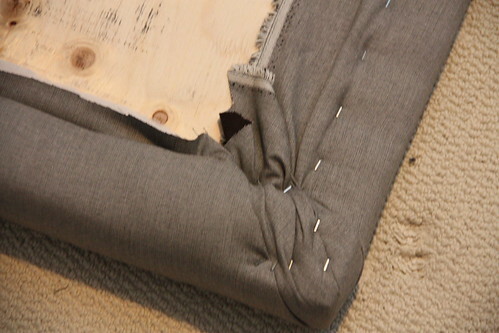 I worked down each side from the top, overlapping the batting and fabric with the staples just outside the 2 by 4's. We had to trim the bottom around the legs to make it work. We did a little trimming of the fabric and batting around the back. So at this point we were just so pleased with ourselves. That didn't last long...turns out that wrapping the legs in fabric and batting is a bad plan when you are planning on screwing them into the bed rails. 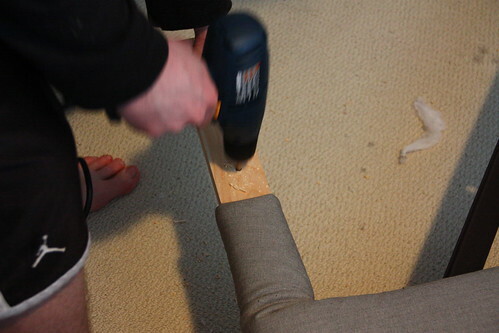 We literally hit a snag when we drilled the holes in the legs for the bed rails. It took a good 10 minutes for me to unwind the batting and fabric from the drill bit. So, we took off the fabric and batting from the legs. You can't even notice when the box spring and mattress are back on the bed rails. 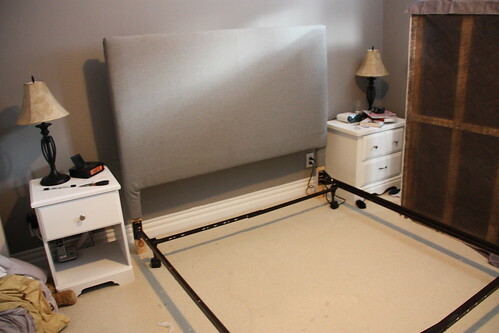 Then we stood that sucker up and attached it to the bed rails. The fabric actually matches the bed skirt. That wasn't intentional, but it makes the bed look like it's all one big piece-kind of modern even. Note: Price will change based on your fabric choice-I got a great deal on mine at $10.00 for two metres. It's been a very long time since I've had a *real* headboard so I am beyond excited with how this one turned out! And we love our new room. It's almost complete. We just need a little bistro table for the bay windows. I'll show you the fell reveal when it's all complete. I would love to see any DIY's you've done. 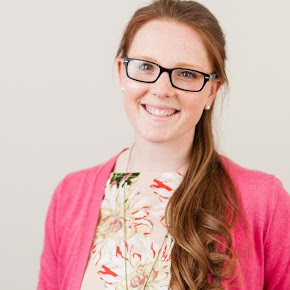 Please leave a link to your blog in the comments section if you have any to share and enjoy the rest of your weekend. Thanks for sharing. I am in the thought process of planning my daughter room make over. Love this idea and how lovely your bed turned out. Wow! You did a fabulous job! TFS! LOVE!!! It's so clean and modern!!! Fantastic job on that! Wow! That is awesome!Great job!